Arson fires. Scrappers. Blackouts. It's all part of business for the last tenant in Detroit's Packard Plant, the decaying industrial complex that the city wants demolished. Bruce Kafarski is the president of Chemical Processing Inc., the last tenant in Detroit's Packard Plant. Firefighters made almost daily visits to the Packard Plant during the summer. Detroit's derelict Packard Plant is the country's largest abandoned industrial site. One last small company still calls the complex home. Detroit residents often are asked why they stay. 13 locals answer that question - and reveal their favorite treasures of the Motor City. DETROIT (CNNMoney.com) -- Most people assume the Packard Plant in Detroit is vacant. It's an industrial ruin where the last car was manufactured 53 years ago. Almost all the windows are blown out. Collapsed walls litter the overgrown sidewalks with broken bricks, mixed with charred metal and shattered glass. But one tenant remains headquartered among the vines, rust and graffiti. Where 11,000 employees once clocked in, now just 10 workers for Chemical Processing Inc. show up each morning. Running a business in a facility widely assumed to be deserted has its challenges. The address surprises customers. The landlord doesn't make repairs. And sometimes, scrappers steal your power lines. It's happened to Chemical Processing President Bruce Kafarski a half-dozen times in past two years. "People kept cutting down the electric lines for the copper," he says. "The city would replace the lines with aluminum, but the scrappers wouldn't know that till they got them down and looked. We'd be left for a day or two without power." Kafarski is remarkably unfazed by this. He's equally calm about the fires. 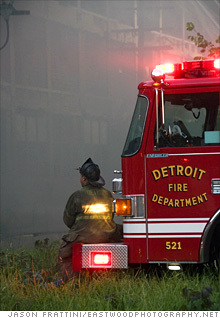 Detroit has an arson problem -- one that peaks each year in late October. This Friday, the night before Halloween, is known locally as Devil's Night, an evening when firebugs take to the streets to torch empty buildings. In the '80s and early '90s, it really was hellish, residents say. As many as 800 dwellings went up in flames each year. Then the city cracked down and began marshaling thousands of volunteers to patrol the streets. The fire count fell -- a bit. But at the Packard Plant, any day can be Devil's Night. "During the summer the Detroit Fire Department was going there almost every day," says Jason Frattini, a firefighter with the nearby city of Eastpointe who sometimes goes by with his camera to document the Packard Plant blazes. In this vast, 3.5-million-square-foot labyrinth, small fires turn into big ones before anyone takes notice. But Chemical Processing has stayed safe from the flames. When something ignites nearby, Kafarski and his workers intervene. Last summer, for example, Kafarski found a fire smoldering just one floor above. "There happened to be a pool of water nearby," Kafarski says. "I got a cup and a bucket. It was pretty easy to put out." After 51 years in the Packard Plant, it takes a lot to ruffle Kafarski. His father started the company in a garage just after World War II, joining Detroit's mass of independent auto suppliers. Chemical Processing specializes in industrial finishing services, coating small metal parts like car door latches and gears. Work for Ford's (F, Fortune 500) suppliers brings in a big chunk of the company's sales. When Packard Motor Car Co. merged with Studebaker and shut down its Detroit plant, other industrial firms took up residence in the cavernous space. In the 1960s, Chemical Processing had around 90 employees working three full shifts. Its neighbors included shipping companies, manufacturers and dozens of other auto suppliers. But the plant was too vast for the city once it began losing its industrial base. By the late 1990s, it had become a decaying eyesore the city wanted to demolish. After a long court battle, the city foreclosed on the owner for unpaid taxes and seized control of the building. 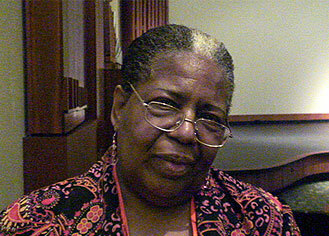 In 1997 it ordered the remaining 87 tenants to leave. Most did. Chemical Processing -- and the building's owner -- clung on. For more than a decade, an appeal went back and forth in court. For two years the building has been back in control of landlord Romel Casab. Even he is surprised Chemical Processing stays put. He's offered the company space in nicer buildings out in the suburbs. Casab doesn't fence off or guard the Packard Plant. No one does. The cavernous network of tunnels and collapsing buildings is completely open to explorers and vandals. "It's not only a local attraction. People come from all over the country to take photos and have underground adventures," says Bill McGraw, a former Detroit Free Press columnist who wrote about the plant frequently in his 37 years with the newspaper. Dozens of Web sites feature the photos and stories urban spelunkers bring back from their trips. Protecting his facility from vandals is far from Kafarski's biggest challenge. Sales have steadily declined over the past decade, and for the last year, they've been horrible. Chemical Processing is barely breaking even. "There have been times when I've just felt like giving up," Kafarski says. "The people get me through. That makes me feel like I'm accomplishing something. It's just nine jobs, but I know everyone. It's personal. You know their struggles, and you know what the job means to them and their families." But Kafarski can't continue to spend the 70 hours a week it takes to keep the firm going. His wife passed away two years ago, leaving him to raise twin 9-year-old daughters on his own. "They're my life now," Kafarski says. "Now, I put in 30 hours, if I'm lucky." He has the opportunity to merge with another local finishing company, and the other firm's building is better maintained -- and less likely to be burned down or condemned. If the merger goes through, Kafarski expects he'd move over his equipment and his workers. Still, he has a soft spot for the historic plant. "Sometimes when I need a break, when my head needs clearing, I go and just walk the building," says Kafarski, who studied accounting in college and never intended to return to the family business. 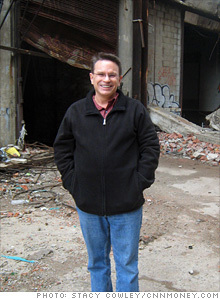 Like many in Detroit, Kafarski's family history is intertwined with Packard Plant. Both of his grandfathers worked there, helping build luxury automobiles in a plant that was for years the world's most modern manufacturing facility. Kafarski recently found the gold watch his grandfather received when he retired from the company. Kafarski doesn't expect to pass Chemical Processing on to his daughters. "There was always the business cycle, but you knew it would come back," he says. "This time, nobody expects it will come back like it did before." But he might one day give them his grandfather's gold watch, and tell them the story of the Packard Plant and its 102-year-history. And that of the last industrial tenant left operating, fending off the city, the elements and the scavengers to fire up the machinery on its plant floor each morning.